In this posting I want to explore the early Quaker understanding of good and evil. We will see that early Friends present us with a realistic but ultimately optimistic vision. Evil and darkness exist and cannot be avoided in the world as it currently is. However, evil and darkness are finite and temporary. God is Goodness and Light and God is infinite and eternal. Christ came to overcome the darkness and to liberate both humanity and the whole creation from the power of evil. As the first proposition of Roberts Barclay’s Apology makes clear, early Quakers believed that human goodness and well-being was based on a true knowledge of God (Freiday 1991, p.13). Therefore if heaven is defined as the true knowledge of God, then hell consists of a state of separation from and ignorance of God. (Wilson 2005 p.). For early Quakers the Genesis fall narrative presented Adam and Eve turning away from the inward knowledge of God and focusing instead on outward things which by their nature were not God. For Fox, human life focused on outward knowledge was a state of being characterised by inward spiritual death (Scully/Gwyn 2007, p.37). Ultimately therefore, early Quakers understood sin in terms of a breakdown of relationship, human alienation from God (Gwyn 1986, p.134). 2. What were the Implications of the Fall? Fallen humanity upset the perfect order of creation and disrupted its essential goodness (Wilson 1996, p.5 & 8). Because of the significant role God had given humanity within creation, human alienation from God threw the created order into disarray. Instead of original unity, order and harmony the fall brought separation, disunity, disorder and disharmony (Wilcox 1995, p. 25). A key aspect of this state of affairs was that humans found themselves in a state of conflict among themselves and with the rest of creation (Wilson 1996, p.166). This apparent chaos and disorder was the result of ignorance and misunderstanding. Humans had lost the ability to perceive and understand the divine order of creation (Wilson 2005, p.142). The fallen human focus on outward physical things rather than on the inward truth of God placed them in a state of vulnerability to the temptations and misguidance of the serpent (Gwyn 1986, p.99). Spencer has argued that, like other mystics, early Quakers believed that through the infinite power of an eternal God, all things exist in a state of oneness. Since evil is finite and limited, it will ultimately be overcome by good. Quakers shared with the Eastern Orthodox Tradition a belief that the nature of good is stronger than the habit of evil (Scully/ Spencer 2007, p.44 & 49). Gwyn shares this perspective arguing that since early Quakers saw God’s truth as eternal, they believed that evil could only have the power that humans chose to give to it (Scully/Gwyn 2007, p.41). 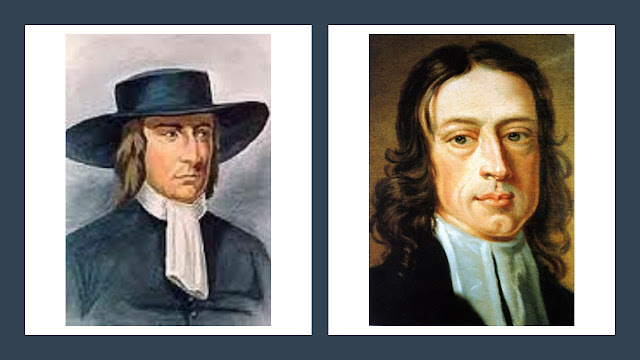 Their particular view of the fall combined with a belief in the infinite power of truth over the finite power of evil demonstrates a distinctive feature of early Quaker understanding. They were extremely realistic about the pervasive presence of evil in the world and the darkness of the fallen human condition but at the same time steadfastly optimistic about the essential goodness of creation and the ultimate defeat of darkness and evil in the world. As a result of alienation from God, human culture had become characterised by idolatry so that people focused on the ‘inventions’ of our own minds rather than on God’s truth (Scully/Gwyn 2007, p.37). Fallenness was characterised as a state of self-deception. According to Gwyn, early Quakers saw this deception leading people to imagine they were achieving things beyond the capacity and role actually given humanity by God, while also leading them to despair of returning to the original harmony of paradise in this life (Scully/Gwyn 2007, p.39). Falleness was characterised as a state of ignorance. Evil emerged out of a lack of human appreciation of the truth. The delusion of human separateness acts as a barrier preventing an awareness of divine truth (the way things really are). Life in darkness is ignorance, whereas life in the Light is enlightenment (Scully/ Ambler 2007, p.194 & 200). Gwyn has suggested that although early Quakers regarded fallenness as a state of being they did not regard ‘original sin’ as something passed from generation to generation in a biological sense. Instead they believed that each individual human entered into the fallen state only by actual acts of disobedience. This approach suggests transmission of sin by means of socialisation into fallen human culture (Scully/Gwyn, 2007, p.37). One of the defining characteristics of the early Quaker movement was its rejection of the Calvinist doctrines of total depravity and predestination. Although they regarded evil as a real and pervasive force in the world, early Quakers proclaimed that Christ had come to liberate humans from their sinfulness and to restore them to the state that Adam and Eve had been in before the fall (Scully/ Spencer 2007, p.43). Barclay argued that the very weakness of human nature that made it susceptibility to evil made it equally susceptible to positive transformation through the inward workings of Christ (Scully/Pyper p.67). Human actions become righteous once the heart had been redeemed and is governed by the inward Christ (Weddle 2001, p.53). For early Quakers, God was in control but humans could choose whether or not to respond to the divine offer of salvation. They firmly rejected the Calvinist belief that liberation from sin could only be realised after death and then only by the elect. Sanctification and full obedience to the will of God could be achieved in this life (Scully/Spencer 2007, p.48). 6. Evil: Personal or Structural? In the particular example of the testimony against war, by drawing on the Epistle of James (James 4:1-4) early Quakers saw the source of conflict and war within each individual not just within impersonal societal forces. The task of overcoming the urge to use violence required the destruction of the spirit of wickedness (the urge to obtain, own and control things) within each person (Weddle 2001, p.52). Early Quakers regarded state enforced religion as one of the key social evils of their time (Scully/Gwyn, p.40). In his reading of the Book of Revelation Fox sees Babylon as the demonic marriage of church and state (Gwyn 1986, p.192). What did early Quakers believe was required in order to effectively respond to evil? For early Quakers Christ, who had returned in spirit and could dwell in every heart, was the only true solution to evil being the only power that could deal with evil in the world. First and foremost therefore, the early Quaker response was to allow Christ to reveal and destroy the evil within each person and to bring them to new life. Ultimately, the defeat of evil within the wider world would have its foundations in this experience. Early Quakers seem to have subscribed to a Christus Victor understanding of the atonement. Christ was the second Adam who had resisted temptation and overcome evil and death. As a result of this victory, his spirit had the power to conquer evil within those who were led by him (Wilcox 1995, p.26). Christ’s spirit presented itself to humans as a new power, a new volition that could stand against temptation and strike at the root of sin within people (Scully/ Gwyn 2007, p.40). When people come to Christ the evil in their hearts is destroyed and they would become a new creation (Wilcox 1995, p.79). This baptism in the Spirit was experienced as an inward purging of the heart which crucified the old nature. By responding to Christ, the human is brought out of the first birth and into the second birth (Wilcox 1995, p.28 & 40). Fox and other early Quakers taught that the Light of Christ would enable people to distinguish between good and evil by offering them access to the Truth as an alternative to the delusions of the natural and socially-conditioned human conscience (Gwyn 1986, p.88). In this sense, the Light enables people to see through deceit, accept the truth and recognise their true selves (Scully/Ambler 2007, p.203). The regeneration of people frees them from the passions that gave rise to strife (Weddle 2001, p.47). As God’s new creation they are no longer slaves to the forces that lead humans into evil and so they no longer need to be subject to the restraining function of government (Wilson 2005, p.49). Quaker testimony is therefore not a set of fixed ethical principles but rather an outward witness to the inward experience of spiritual transformation achieved by Christ and requires on-going individual and corporate practices of worship and discernment (Scully/Muers 2007, p.178). Shaw has argued that Quaker practice is a ‘spirituality of subtraction’ in which the individual seeks to remove all that forms a barrier to the discernment of God’s guidance (Scully/Shaw 2007, p.97). Since this guidance is the ultimate protection against evil, constant vigilance is required to ensure that the promptings of love and truth in the human heart (the leadings of God) are not overlooked (Scully/Shaw 2007, p.105). John Woolman represented a classic example of the spirituality of subtraction. He came to see that walking ‘in uprightness’ was achieved by valuing and attending to the motions of love which were the inward experience of God’s spirit (Scully/ Heller 2007, p.74). Wilson has suggested that the spirituality of subtraction demands the effective management of the on-going conflict within humans between inward divine leadings and outward creaturely motivations. Evil is always lurking nearby to tempt us (Wilson 1996, p.179). Early Quakers expect to face suffering and persecution because most of the world had not yet undergone rebirth in Christ and was therefore still subject to the forces of evil (Wilson 2005, p.88). John Woolman saw his spiritual journey as one of following Christ in learning humility and the resignation of self-will leading to a state of oneness with suffering humanity. For Woolman, to enter into the sufferings of the oppressed was to participate in the redemption of the world (Scully/Heller 2007, p.79). Wilson has suggested that for early Quakers it was through perseverance, patience and suffering that God taught the faithful to lead a kingdom life in a non-kingdom world (Wilson 2005, p.189). A key test for early Quakers was not whether their actions would achieve a desired outcome but rather whether they were being truly obedient to divine guidance. This approach assumes that humans have limited awareness and that in the battle to defeat evil God may act in ways which defy human reason and understanding. Weddle has argued that early Quakers gave priority to a Hebraic type of obedience to God over a Greek focus on God’s grace expressed in Jesus’ sacrifice (Weddle 2001, p.52). Olmstead shows that John Woolman almost never referred to the desire for outward results. What mattered to him was faithfulness and obedience to the Lord in seeking to be an instrument of the divine (Olmstead 1993, p.11). In early Quaker practice the link between the destruction of evil within the individual and its eradication in the whole world can be found in the principle of answering that of God in others. This was a conviction that the visible example of the new life lived in Christ would ‘preach among all sorts of people’ turning others to the spirit of Christ available within them. Again, John Woolman provided a classic example of this practice. His approach demonstrated a trust in the other person’s ability to respond to the leadings of the spirit (Scully/Heller 2007, p.76). His focus was on persuading those causing suffering (the oppressors) to change their ways by appealing to the spirit working within them rather than by condemnation and denunciation (Olmstead 1993, p.34). Gwyn has argued that the apocalyptic vision of early Quakers was grounded in a relentless confrontation with deceit and evil in the human heart and its accumulated conventions in religious, social and political life. The Lamb’s War was a nonviolent but highly conflictual campaign (Scully/Gwyn 2007, p.33 & p.40). The fundamental aim of the Lamb’s War was to liberate people from the repressive doctrines and false prophets (Babylon) that kept them in captivity to evil and separated them from God (Gwyn 1986, p.194). The Quaker community is first and foremost the place where truth is discerned, tested, interpreted and acted out (Wilson 2005, p.26). Quaker corporate practices of discernment and decision-making can act as a much needed counter balance to the tendency to rely on pure ethical principles (Scully/Muers 2007, p.176). For them the church had an active role in establishing the new world order as it stood at the cross where Jesus decisively achieved victory over Satan (Gwyn 1986, p.115). For John Woolman God’s presence in the world means the community of faith has a duty to make the world a better place (Scully/Heller 2007, p.75). The strong corporate dimension of early Quakerism recognises that individuals alone cannot effectively address the challenges of systemic evil in society, only a disciplined and spirit-led community of faith can do that (Wilson 2005, p.91). In a world filled with hatred and conflict, the love and unity of the true Christian community should stand as a witness to a new order (Gwyn 1986, p.144). By absorbing the destructive forces of the world, the church can incarnate the hope of Christ’s resurrection that death might be swallowed up in victory (Gwyn 1986, p.213). By living an alternative way of life, the faith community can counter the greed, violence and injustice of the dominant culture (Wilson 2005, p.170). Guiton has argued that the spirit-led fellowship of early Quakers acted as a sacramental sign of visible unity in a broken and divided world (Guiton 2005, p.258). The boundaries of the community also provide protection from the dangers of mainstream culture. The community can safeguard the individual from the temptations of the world (Wilson 1996, p.24). The early Quaker experience of being lifted out of the old world and restored into the pre-fallen paradise of Eden gave them a keen sense of eschatological possibility and this fueled their life-style evangelism and prophetic witness to the powers of the day. Their eschatology convinced them that they were witnessing and participating in the final triumph of justice over evil and the establishment of God’s righteous reign on earth (Wilcox 1995, p.97). They had confidence that as the Light of Christ came to rule in the hearts of more and more people so the power of the Beast would weaken and move toward its eschatological downfall (Guiton 2005, p.53). They believed that enmity, injustice and oppression were the works of the antichrist and that the victory of Christ over this evil would bring outward peace to the nations and inner peace to its rulers (Guiton 2005, p.86). They clearly accepted the principle that since the Word had become flesh, the flesh could become god-like (Scully/Spencer 2007, p.52). As their bodies became temples within which the spirit could dwell they saw themselves as ‘new creatures’, representing in thought, word and deed the emerging new heaven and new earth (Guiton 2005, p.38). Gwyn has argued that the early Quaker movement provided a fleeting fulfillment of Paul’s mystical doctrine of being redeemed into the kingdom of God through union with Christ (Gwyn 1986, p.218). They felt that to walk in the Light was to walk here and now in the New Jerusalem, which was the end of the world (Scully/Gwyn 2007, p.36). They saw that through the gathering of regenerated individuals, the Light was beginning to shape a new social order (Scully/Gwyn 2007, p.33). They believed that the old outward and physical covenant had been replaced by the new inward and spiritual covenant. This was reflected in the early Quaker rejection of fighting with carnal weapons. In the old covenant the outward sword was used to cut down the outward heathen. In the new covenant however the inward sword would cut down the inward heathen (Weddle 2001, p.49). [copy-editing]: "Fallenness was characterised as a state of self-deception. Gwyn has stated that for early Quakers this included the belief that humans could go beyond the capacity and role given them by God. It also involved the conviction that a return to the original harmony of paradise was not possible in this life (Scully/Gwyn 2007, p.39)." [clearer as]: ..."According to DG, early Quakers saw this deception leading people to imagine they were achieving things beyond the capacity and role actually given humanity by God, while also leading them to despair of returning to the original harmony of paradise in this life." Thank you for your copy-editing suggestion. I agre and will amend. I think their is great value in your comments about adopting a yogic model. My intention was to represent the position of early Friends which was located within a biblical world view (or at least their interpretation of it). That said, I do see in their vision a sense that our fallenness is a state of being focused on superficial surface appearances (characterised by what appears to be separation and conflict) and being unable to see the deeper truth of the order that God has given to creation (which is characterised by relationship, interconnection and harmony. This is the real delusion. Forrest, it also occurs to me that this matter is relevant to my earlier posting - 'C' is for Celestial Inhabitation and the need to liberate ourselves from dualistic thinking.